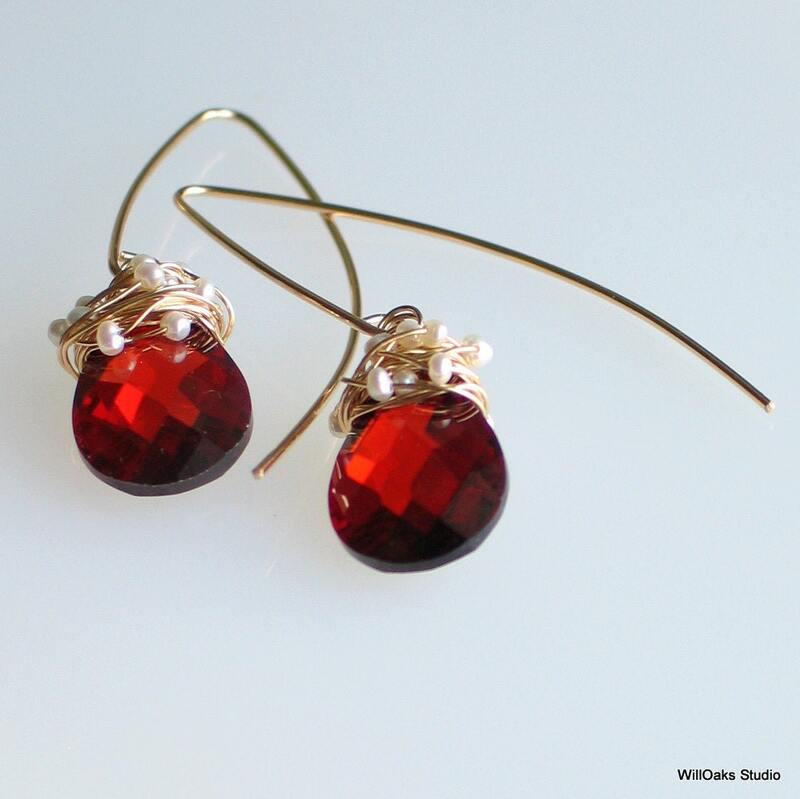 Long gold ear wires dangle faceted scarlet red cubic zirconia teardrops. 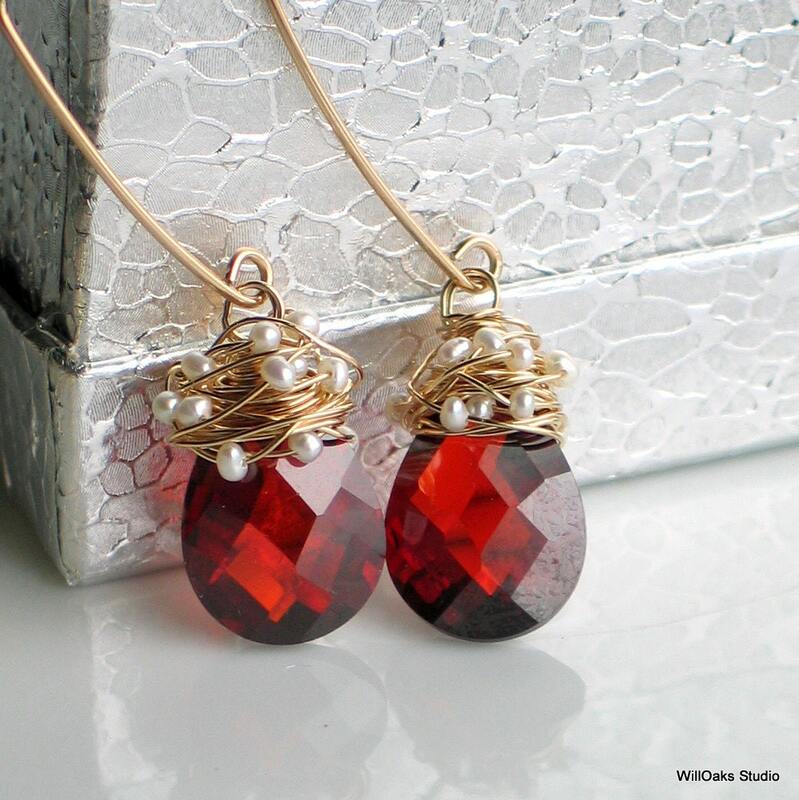 Stones are wire wrapped with organic abandon using fine 14-20 gold filled wire and little freshwater seed pearls to form a striking form that dangles from elegant long hand formed gold-filled ear wires, total about 2" long measured from the top of the earring. Wonderful to give as gifts and lots of fun to wear. This is my last pair with this CZ shape & color. Shown with long ear wires-shorter gold-filled French hooks are also a choice. 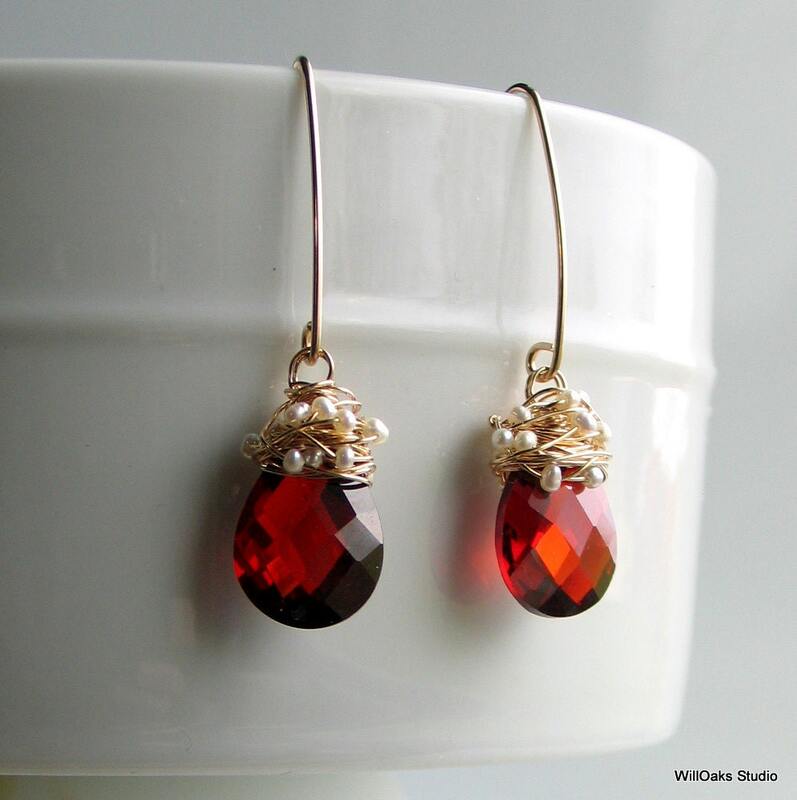 The shorter style is an earring about 1 1/2" total length. I love Cubic Zirconia--a man made stone originally designed to mimic diamonds at a fraction of the cost. Yet just as elegant and sparkly and definitely a festive feeling here all wrapped up with gold filled wire and pearls. Please drop a note if you're looking for a different color CZ, and I'll let you know what's in stock and what might be available. Earrings are packaged in my signature boxes and mailed in bubble envelopes. Red ones are ready to mail. Other colors would be made to order. 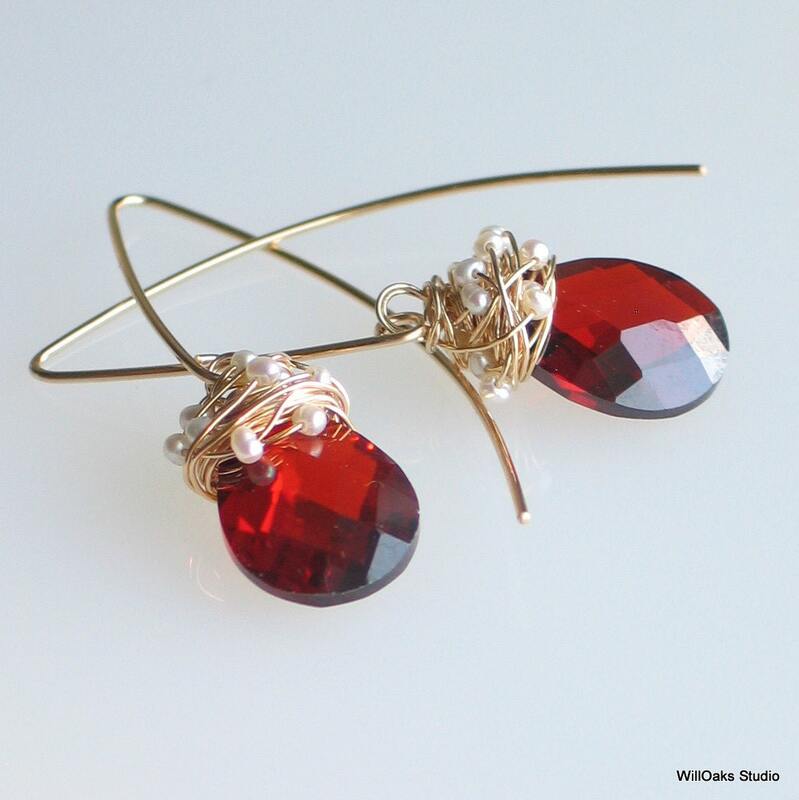 Please check out lots of my original earring designs here https://www.etsy.com/shop/WillOaksStudio?section_id=5768146 and here https://www.etsy.com/shop/WillOaksStudio?section_id=10086769 and you're welcome to browse more of my studio here https://www.etsy.com/shop/WillOaksStudio.